EACH MACRO TREND IS A HOLISTIC VIEW AT THE SEASON. DEFINED BY EMOTIONAL, VISUAL AND CULTURAL SHIFTS. WITHIN THE MACRO TRENDS ARE INDIVIDUAL TRENDS THAT CAN DICTATE A PORTION OR AN ENTIRETY OF A PROJECT. INTENTIONALLY VISUAL FOR YOU TO FILL IN THE BLANK AS YOU SEE FIT FOR YOUR END USE. 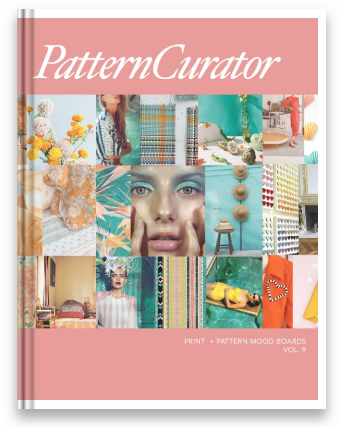 PATTERN CURATOR MACRO TRENDS ARE MEANT TO BE USED AS A SOURCE OF INSPIRATION TO EXPAND AND UPDATE THE CONSTANT EVOLUTION + NEED FOR ALL THINGS COLOR, PRINT + PATTERN RELATED. Defined and inspired by the earth’s natural flux which is happening now, has happened and will continue happen as part of our evolution. This trend is dictated by the synergy of innate organic occurrences of nature and the curious co-existence of human-made technology. Mother Nature is the guiding artist to learn from. A little bit of nostalgia, imagination, reality and reading into the future. As we are now entering a world where science is no longer fiction, we can see that our lifestyles and aesthetics is a conglomeration of all that we know. A little familiar and a little unexpected - not exact, yet clearly distinct. Hope for the best and plan it that way. Not so stuffy, yet carefully put together. Inherently charming and pleasing to the eye. Partial peaceful statement and demonstration of elegance. Joyful and pleasing to make a point to stand out, not be lost in the background. For Fall / Winter 2019, there is an earthiness and lavishness in style and comfort. The idea is not to be worn out. Look to textiles and garments that were once hand-made with such great care to last a lifetime. Colors, patterns and textures that have faded beautifully and graciously in the sun. Taking everything up to the next level. Styling, textures, color, print and pattern, not just anything - everything goes together in this trend. All deliberate and intentional. Free spirit meets strong voice. There's a message to be heard that fashion rules are meant to be broken to be made up again. A twist on classic textile patterns. Plaids are making a strong resurgence, not just in the casual shirt world. Classic scarf prints and placements clashed with pinstripes, polka dots and wall paper florals. This trend is anything but boring. 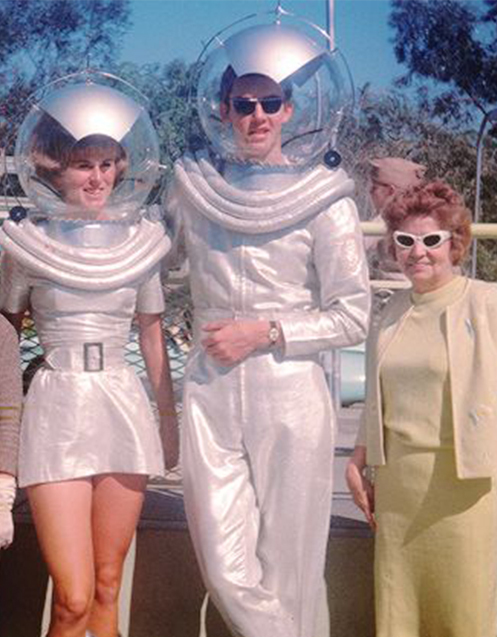 This is a look at the "best of's" in the history of fashion. For Spring / Summer 2019, we are seeing comfort as an overall essential aesthetic. There is an overarching easy, yet intentional put together vibe for this season. Rather than looking to other countries for this trend, California classic style seems to be popping up as the obvious underlying influence. Another trend emerging for Spring / Summer 2019 is the mash up of polar opposites. New vintage. Really bright brights & really pale pastels sitting with each other. It's not like what we've seen in previous seasons, this go around is slightly softer. Intense hues in organic shapes. Lighter shades in more aggressive patterns. Though this may seem like a repeat or something that hasn't gone away. It's not. Trending for Spring / Summer 2019 has a modern twist to authenticity. Different than past seasons of taking one country or identity & expounding on it. This trend is a little more nonsensical, slightly haphazard as an homage to unity. 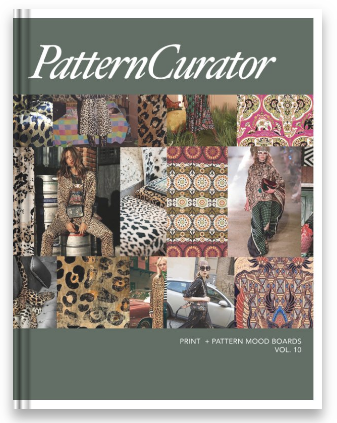 Let Pattern Curator do your trend research for you. Our main focus is color, print and pattern, yet we understand that you need more. Pattern Curator will work with you one-on-one to research & develop current and/or future trend ideas as you need it delivered. We are constantly on the pulse of what’s trending, what just went away and what’s to come. If you need more than color, print and pattern, such as fabric, silhouette or detail trends - we can deliver that research for you as well you need it specifically for your needs. Sign up with your email address to get news & updates.